This was my 2nd time going to Tio Pio, the newish chicken place but also serves other foods on Court St. I’m quite impress with their price and food. The 1st time I got ox tail, rice and something else for $8. 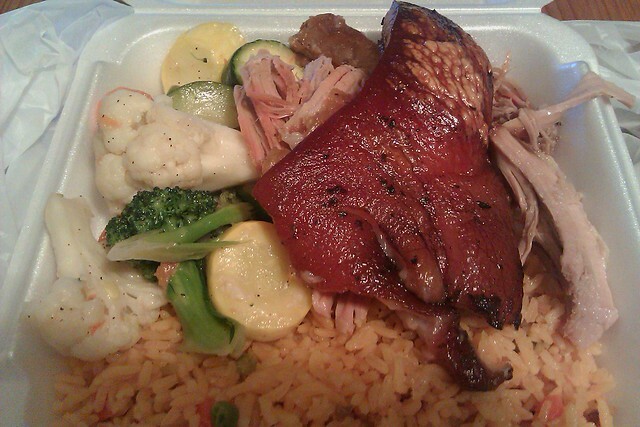 This time I got pernil (I specifically asked for the skin park also), yellow rice and roasted vegetables. This was $8 as well. Everything tasted great and the skin had some nice fat and crispy bits. Can’t beat that!